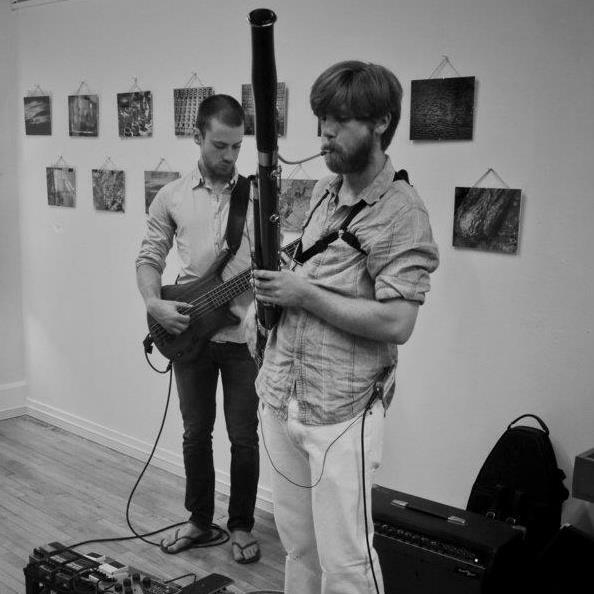 Bassoonists all over the world have started using the Little-Jake electric bassoon pickup to play all kinds of music. Here are a few of the more active players that regularly use the Little-Jake in their performing. Paul Hanson is probably the most widely respected jazz bassoonist. His playing is ground-breaking, and his recordings are a must-have for any jazz lover, bassoonist or not. For years he used an irreplaceable FRAP pressure transducer pickup, but recently he has switched to using the Little-Jake! Here he is, in between what was likely two killer improvised lines, in a performance with bassist Ariane Cap, and a nice shot of his Little-Jake and L.R. Baggs preamp attached to the music stand in front of him. Michael Rabinowitz is one of the preeminent jazz bassoonists in the USA, having recorded multiple albums with his own ensembles and the Mingus Big Band. Michael was the first player that I introduced my pickup to, and he provided invaluable feedback on the final design and has been the longest time user of the Little-Jake besides myself. Mark Ortwein is the assistant principal bassoon and contra player for the Indianapolis Symphony and teaches at the University of Indianapolis. He is also the owner of Ortwein Woodwinds. He’s an accomplished multi-woodwind player, and plays saxophones and bassoon with the Little-Jake with his jazz group The Icarus Ensemble. He’s also got the best beard in the bassoon business. Krista Wodelet plays in a band called Sidney York. She has an MM from USC and plays bassoon as well as other things including singing in the band. She has a unique way of connecting the L.R. Baggs preamp to her bassoon instead of herself for quick instrument changes. I might start doing this myself. 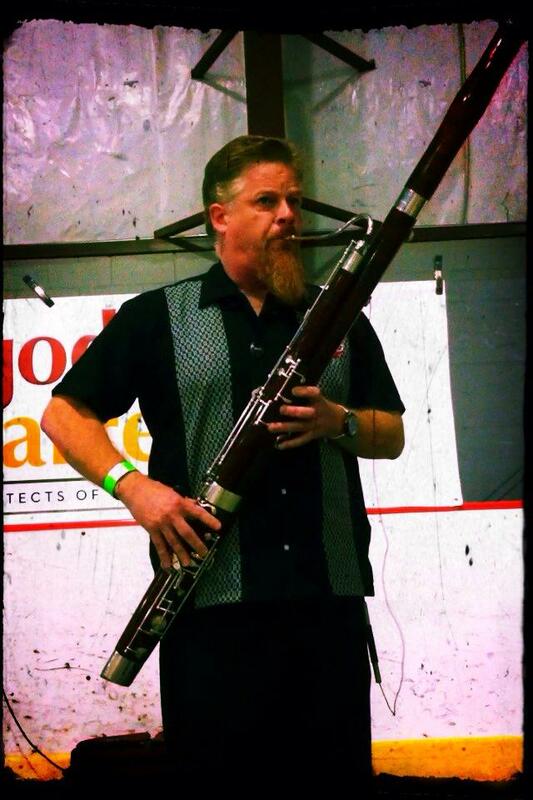 David Wells teaches bassoon and musicology at several colleges and universities in northern California. He plays a beautiful Puchner bassoon as well as some historic instruments and a bit of saxophone. He plays with a 1920’s Haute Jazz ensemble where he plays without amplification, but when he does amplify, he uses the Little-Jake. He also keeps a pretty active blog going, so be sure to check out his website! Tom Breadan received a Master’s degree from the University of Akron in Ohio, where he played with a fusion band called Gondor. Another Telex convert, he’s been using the Little-Jake for a while now and recorded Gondor’s album with it. As of 2013, he’ll be a DMA candidate at Arizona State University. 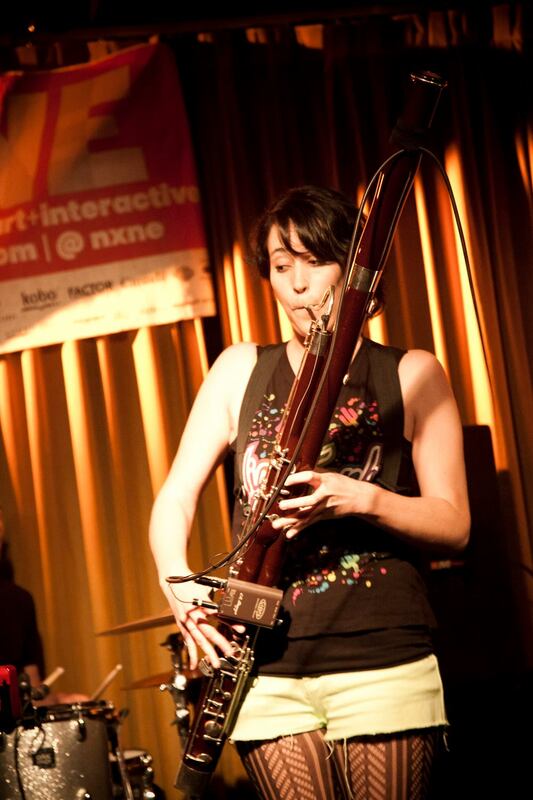 It seems like you’re bringing the bassoon into the modern age with this little device! Thank you for creating this wonderful device!